MES Ltd are Nanni factory authorised Dealer for the John Deere range for service, parts, engines and warranty work. 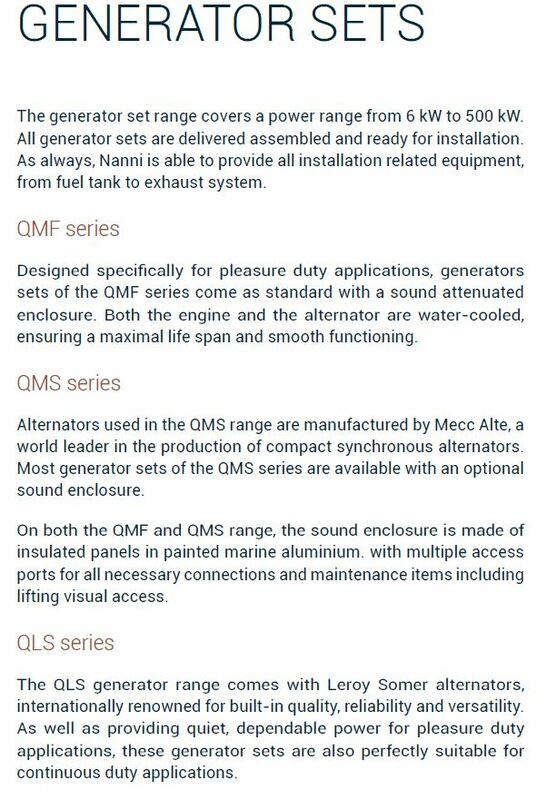 This includes the N5, N6, N9 and N13 range and generators. 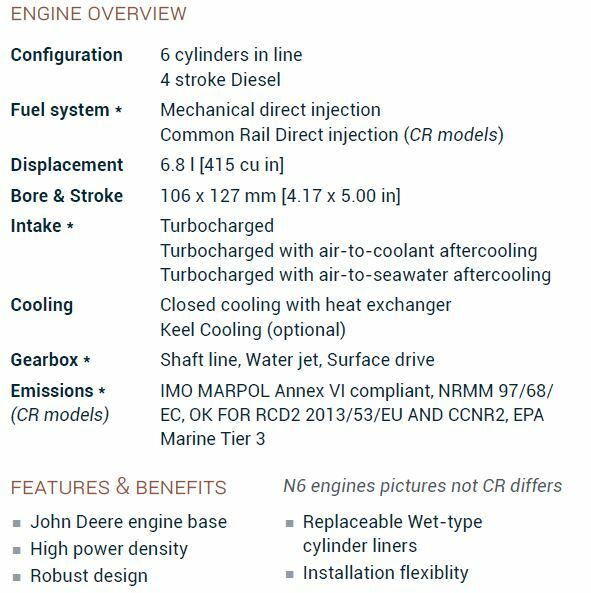 The Nanni N5 series engine is a 4 cylinder, 4 stroke diesel engine. 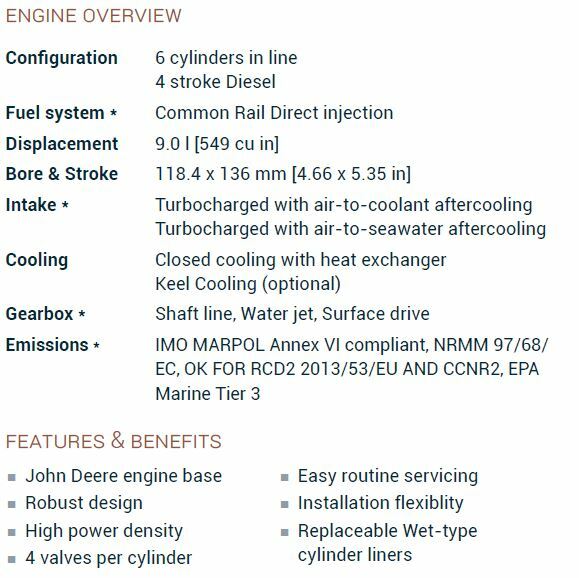 The fuel system is mechanical direct injection or common rail direct injection for CR models. Also has either a shaft line or water jet gearbox. Displacement of the engine is 4.5 l (276 cu in). Bore stroke 106 c 127 mm (4.17 c 5.00 in). 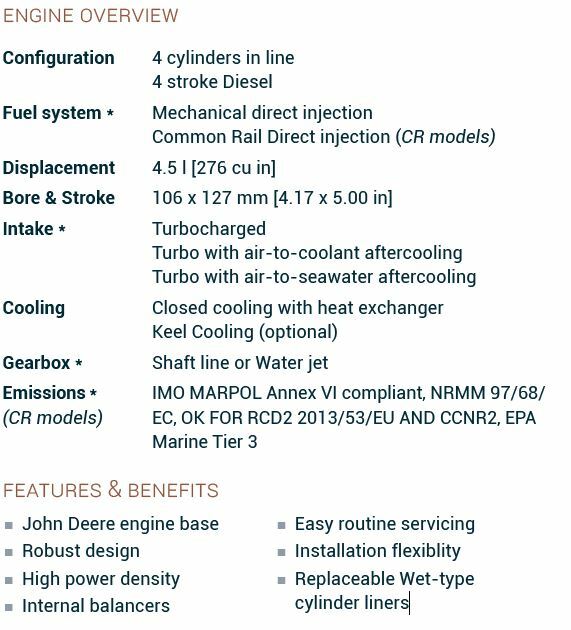 Intake can be either turbocharged, or turbo with air-to-coolant aftercooling, or turbo with air-to-seawater aftercooling. 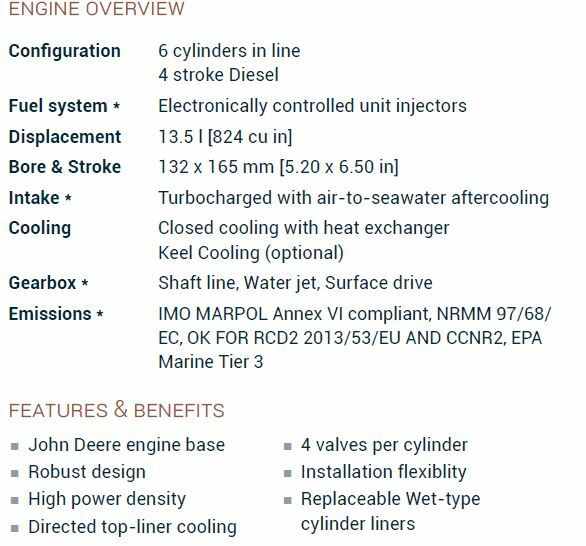 Additionally it has closed cooling with either heat exchanger or optional keel cooling. 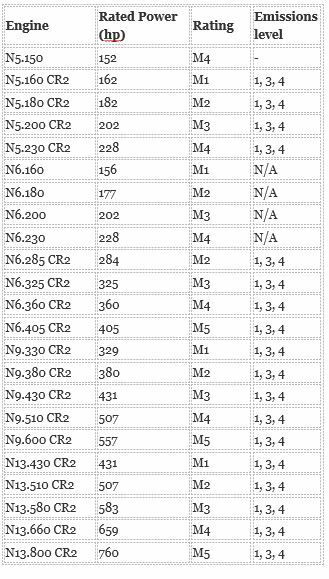 The N5 and N6 ranges include mechanical engines and the N6, N9 and N13 common rail options. Please feel free to contact us about any of the Nanni John Deere range where we will be happy to assist.